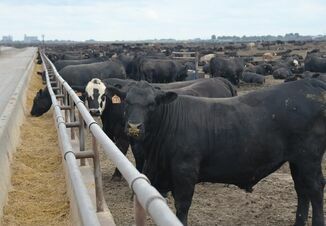 Last week’s $3 cash fed cattle rally improved cattle feeding closeouts $79 per head, leaving owners with profit margins of $36 per head, according to the Sterling Beef Profit Tracker. Higher prices along with feeder cattle costs $24 per head lower provided the week’s final margin. Despite paying more for live cattle, packer margins improved $40 per head to $223. 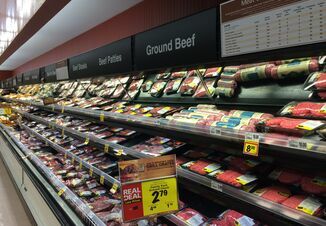 The beef cutout gained $5.76 per cwt., closing at $209.25. The cost of finishing a steer last week was calculated at $1,528, which is $25 lower than the $1,553 a year ago. The Beef and Pork Profit Trackers are calculated by Sterling Marketing Inc., Vale, Ore.
A year ago cattle feeders were earning $65 per head. Feeder cattle represent 74% of the cost of finishing a steer compared with 74% a year ago. Farrow-to-finish pork producers saw steady margins with a loss of $1.20 per head. Lean carcass prices traded at $59.64 per cwt., $1.77 per cwt. lower than the previous week, and $5.20 lower than a month ago. A year ago pork producers earned an average of $18 per head. Pork packer margins averaged a profit of $28 per head last week.